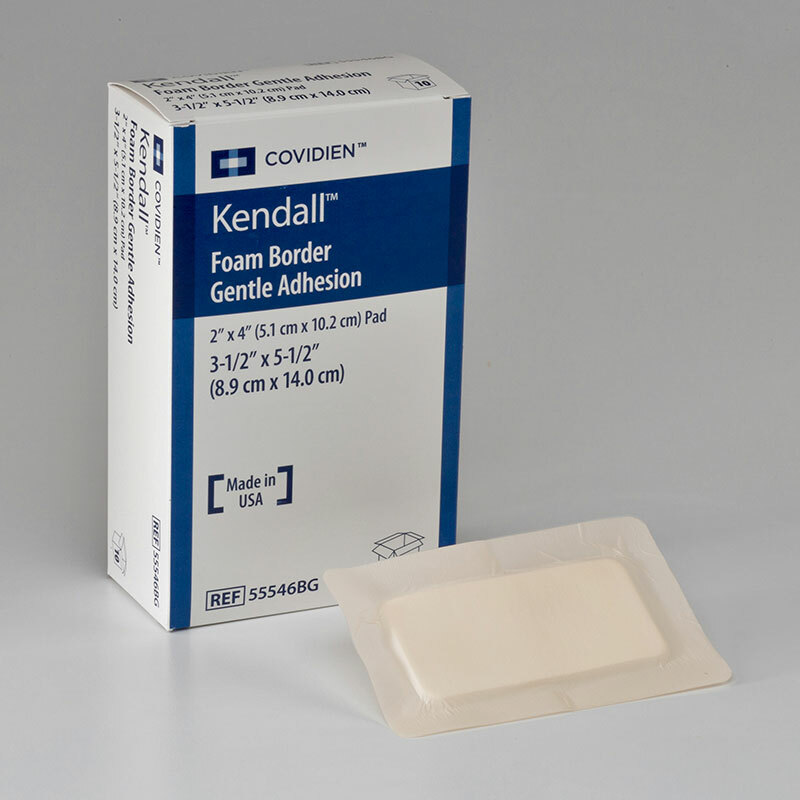 You are buying the Kendall Border Foam Gentle Adhesion Dressing 3.25x5.5 50/bx, Model # 55546BG. ADW Diabetes offers a complete line of wound care products by Kendall. We offer these items in single boxes as well as case packs for your convenience. ADW Diabetes offers fast shipping, excellent service and competitive pricing. Kendall Border Foam Gentle Adhesion Dressing 3.25x5.5 50/bx, Model # 55546BG promote Wound Healing by creating a soft effective wound barrier. Compliant with most existing wound care protocols, foam dressings provide an ideal healing environment. Border Foam Gentle Adhesive Wound Dressings offer a significant savings when compared to most foam dressings. Kendall Border Foam Gentle Adhesive Wound Dressings have small pores that decrease the chance of tissue migration into the foam dressing.